What’s there to drones besides the potential to one day have Amazon packages dropped onto your doorstep minutes after placing an order, you ask? Much, much more. 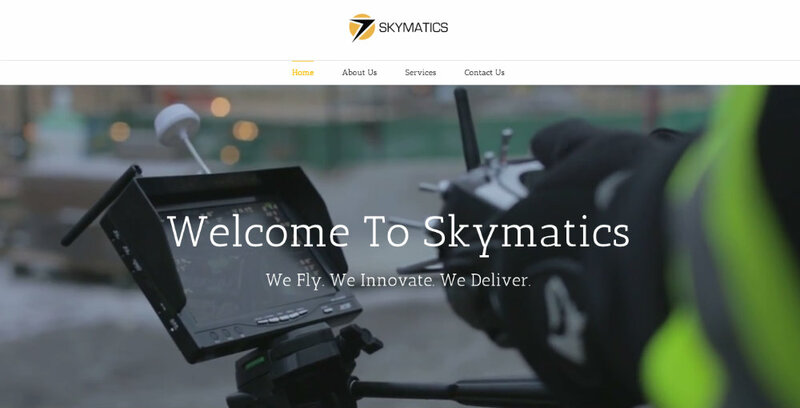 Skymatics, an industrial drone service company, is the perfect example. They perform a number of different aerial services, including inspections and elevation mapping. The data and imagery that they provide is indispensable to a number of industries. Since Skymatics relies on state of the art UVAs (unmanned aerial vehicles), they have the advantage of being able to reach remote areas and operate out of many locations. The company is currently active in Canada, Bermuda, and the United States. They can monitor crops for farmers and agricultural firms, allowing them to better manage land and improve yields – and grow profits. They can survey terrain for the tourism and film industries. Skymatics also conducts topographic land surveys for both commercial and residential real estate. Skymatics boasts of producing photos that have a level of detail five times that of commercial satellite imagery. “Highly detailed multispectral imaging” and 3D models benefit those working in the construction and energy industries. When you think about how difficult it would be to rely on people to complete tasks like, for example, maintaining a pipeline that’s beneath the ground and covers vast territory, it’s easy to appreciate the importance of such technology. Skymatics works with each of its clients to cost-effectively obtain the best data possible. You don’t often hear of drones in the news doing this kind of work, which is a pity. Sure, the public has been shown some stunning videos (who doesn’t love a fly along with an eagle? ), but to see powerful imagery applied to projects across a broad range of businesses is truly eye opening. Want the best data and images that can only come from above, for the right price? Skymatics has a nationwide network of highly skilled drone operators ready to meet your needs. Have a better look at the innovative services that they provide at skymatics.com.